BRIEF CAMP DESCRIPTION: Don't just learn about archaeology. Do it! 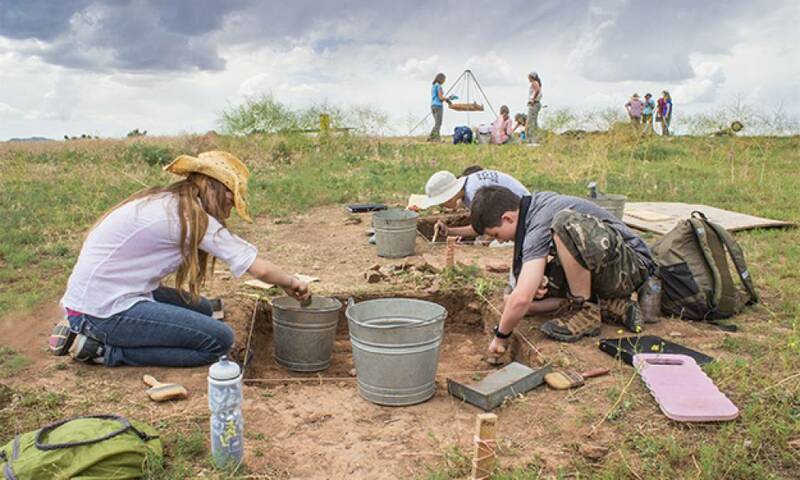 Every summer at Crow Canyon, students age 12–18 join our research team and help investigate the history of the ancestral Pueblo Indians of the Mesa Verde region. Work alongside professional archaeologists, learning from them as you dig, map, and document your finds. CAMP LOCATION: Crow Canyon's scenic 170-acre campus is located in rural southwestern Colorado, near Mesa Verde National Park in the Four Corners area. CAMP FACILITIES: Southwest-style lodge includes dining hall and lounge. Students are housed in comfortable, accessible cabins, new in 2016! Gates Archaeology Laboratory houses classrooms and education and research labs. Two learning centers, replicas of a 7th-century pithouse and a 12th-century pueblo, bring the past to life. CAMP PROGRAM INFO: One of USA Today’s 10 best adventure camps for kids! and voted as #1 program for Earthwatch volunteers. In Crow Canyon's week-long middle school and high school camps, students work with our archaeologists on a real archaeology project. Students excavate in the field and work with artifacts in the lab. For high school students considering archaeology as a career, our intensive (and fun!) three-week High School Field School will give you a feel for what it takes to be an archaeologist. All camps include field trips to Mesa Verde National Park. High School Field School includes weekend hiking and rafting trips. CAMP SCHOLARSHIPS OR FINANCIAL ASSISTANCE: Scholarships available. See website for details. OTHER CAMP INFO: Scholarships available. See website for details. Go to The Best Colorado Summer Camps Directory to Find More Top Summer Camps Near Cortez, Colorado.